MY FIRST IMPRESSION OF KAOHSIUNG is its pollution. Being the largest industrial hub of Taiwan, it is definitely difficult for the city to be clean and pristine. I have heard one so many times of Kaohsiung locals complaining about their air quality and drinking water. Rumors had it that most locals buy mineral water for consumption because the tap water is far too challenging for their taste buds. 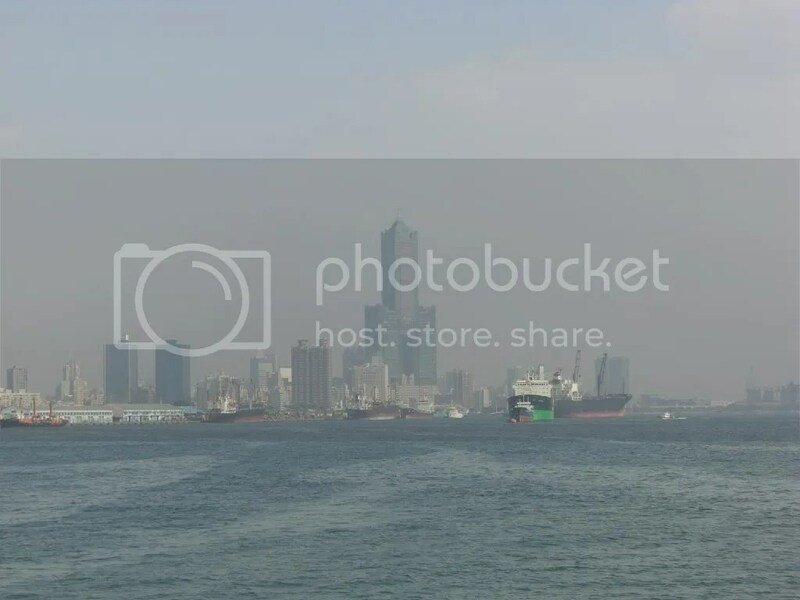 See how bad the visibility is in Kaohsiung (this is mid-afternoon). I LIKE CITIES but not pollution, so I decided to start my trip in Kaohsiung by traveling away from downtown and into Cijin Island. This nearby island of Cijin, has a beautiful coastline, and a less stressful pace compared to Kaohsiung city. Ferries take passengers as well as bicycles and motorcycles across the narrow straits within 15 minutes. I was surprised at the crowds of visitors during a Monday morning. Most are parents from nearby towns bringing their children for a winter vacation trip (although nothing about the weather suggested that it was winter). 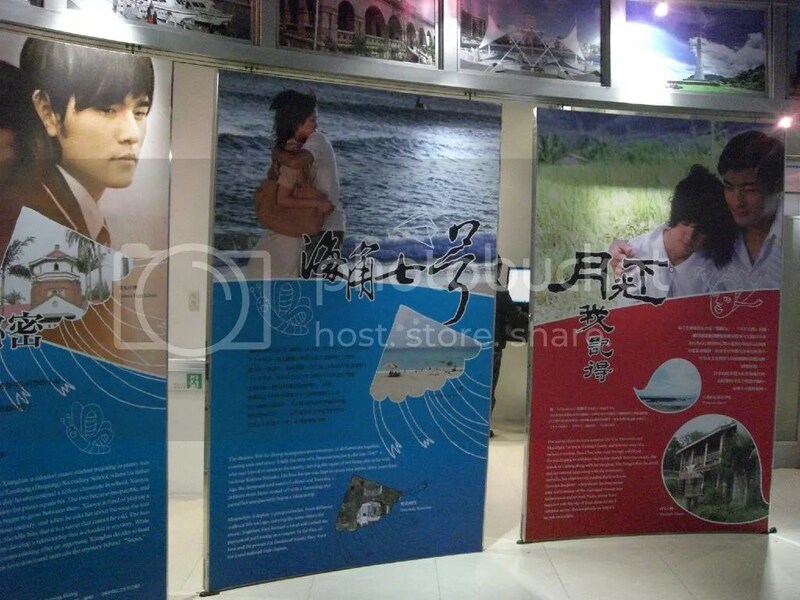 Cijin has a small touristy town feel to it, and as expected, plenty of souvenir shops and eateries. Trishaws are one of its special attractions. With a fee of about NT$150, the trishaw cyclist takes you around the island. But if you are as stingy as me, you’ll be glad that most of its attractions are within walking distance. And so I walked all the way to the two main sights, the Cihou lighthouse and Cihou fort. While the Cihou lighthouse is a British building, the fort is built in Ching dynasty as a protection for the Kaohsiung harbor. While on top of the Cihou mountain, the whole of Cijin seashore park is visible (no air quality problems here). This seashore park is newly developed and offers swimming, walking paths and an ecological garden. I did not walk there because the weather was too warm to my liking, and my skin has been tanned more than enough. 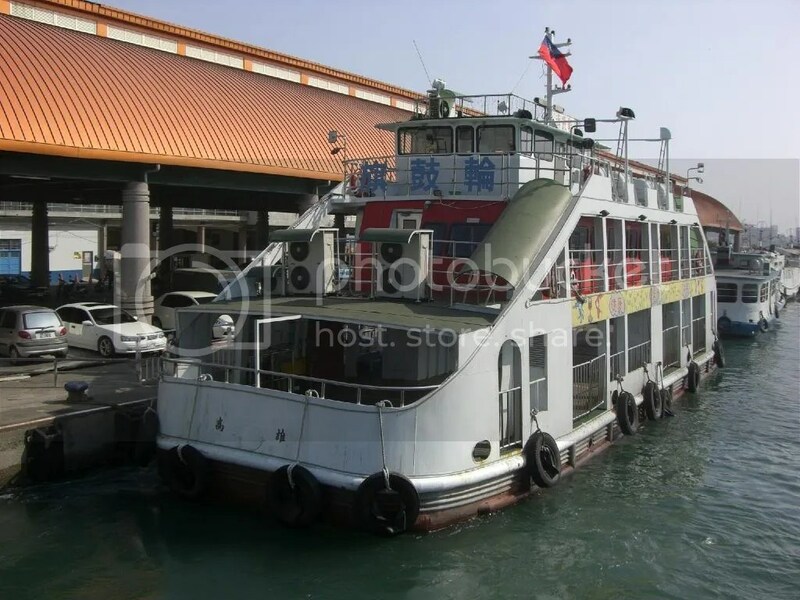 For only NT15, the ferry takes you to Cijin Island…. 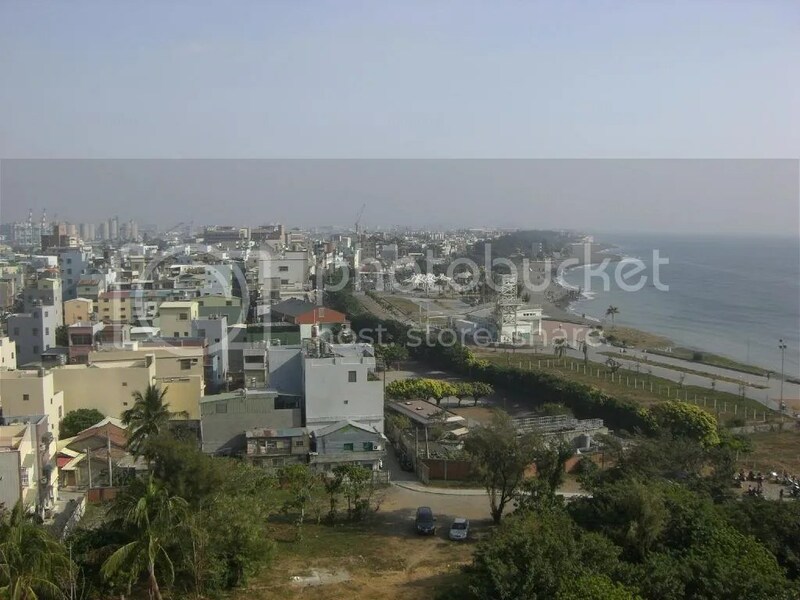 Steep roads bring you to the top of Cihou mountain, where the fort and lighthouse can be seen. This is what Cijin Island looks like. 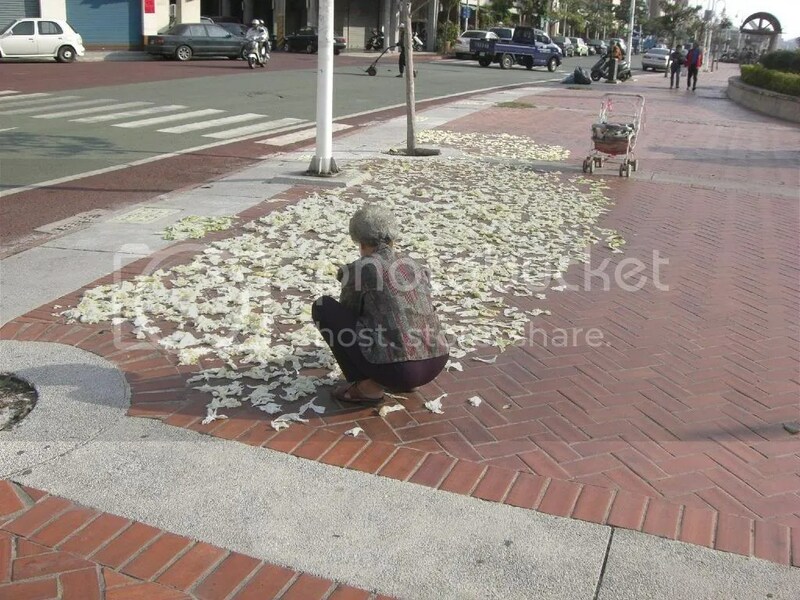 I found an old lady busy drying her cabbage leaves on the pedestrian walkway of Cijin Island. 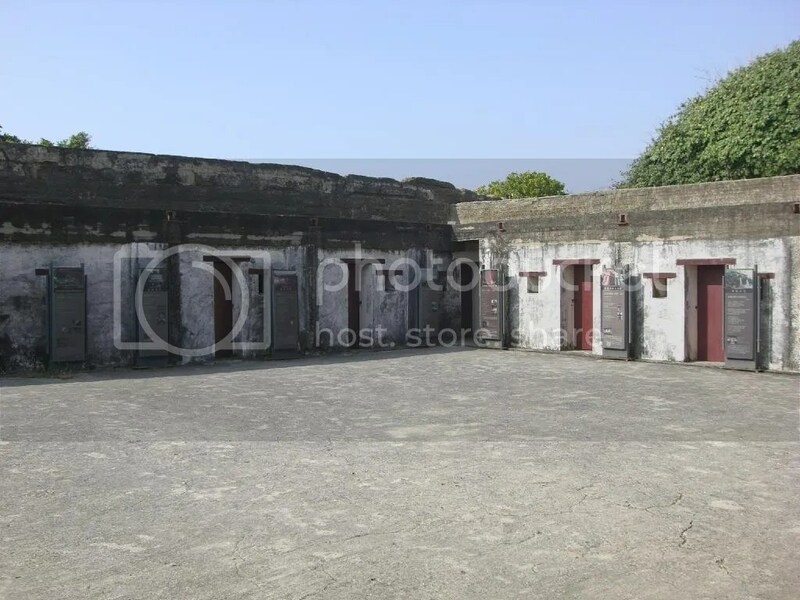 Decades ago, military and civilians alike hide in the small rooms of the Cihou fort. 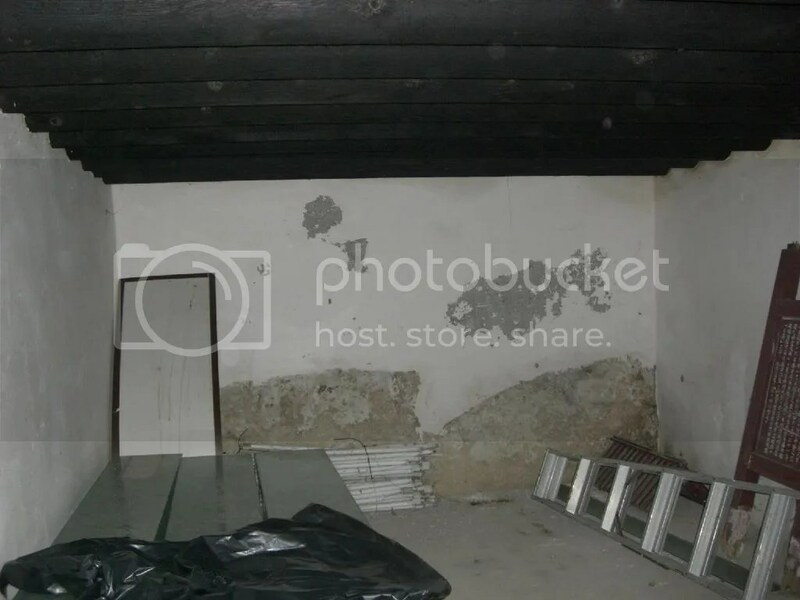 This is how the rooms in the Cihou fort look like. I know it’s filthy, but who cares that much during the war? THE SIZIHWAN BAY is well-known for its sandy beaches and the beauty of its sunsets. 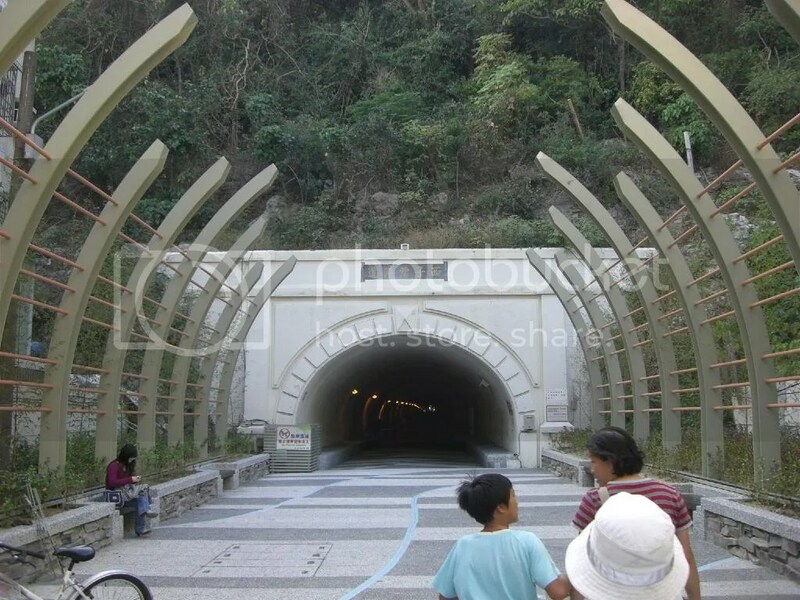 There is a pedestrian tunnel linking the Gushan harbor to Sizihwan Bay. 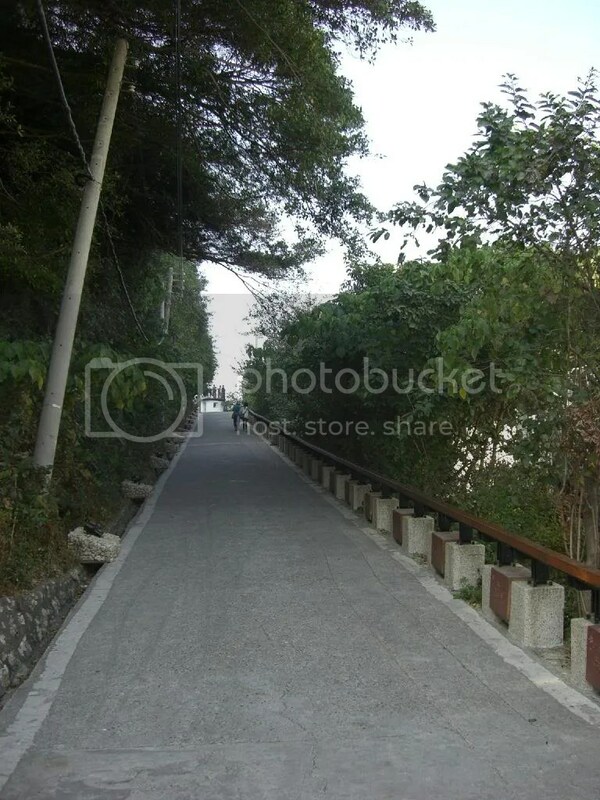 After coming out of the tunnel, I found myself in the Chung Shan University campus. The students of this university proudly call their school the university nearest to a beach (merely a block away). Plenty locals cycled around the bay area, and also in the campus. 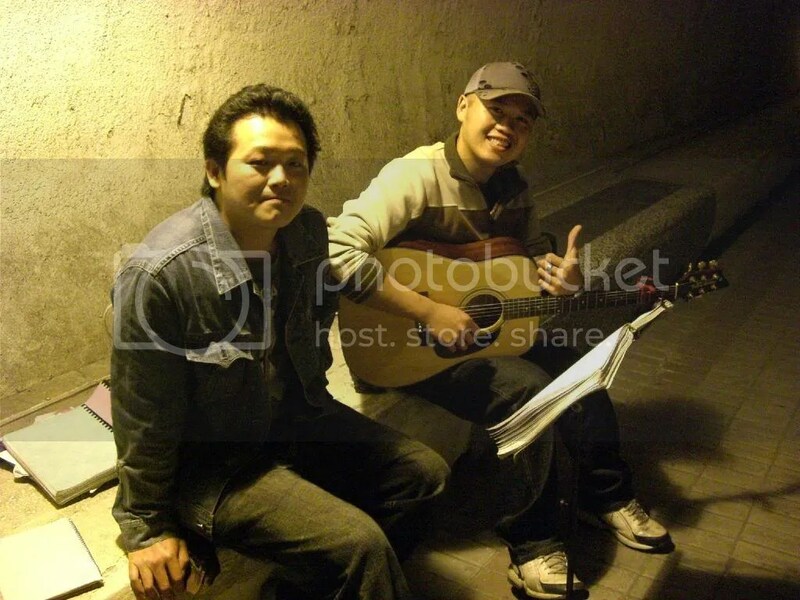 I met with two talented guys, one singing while the other performing his guitar in the tunnel. As if there were magic. the music was magnified by echoes, making it sound like an unplugged concert. A short tunnel connects the Gushan harbor with the Sizihwan bay. 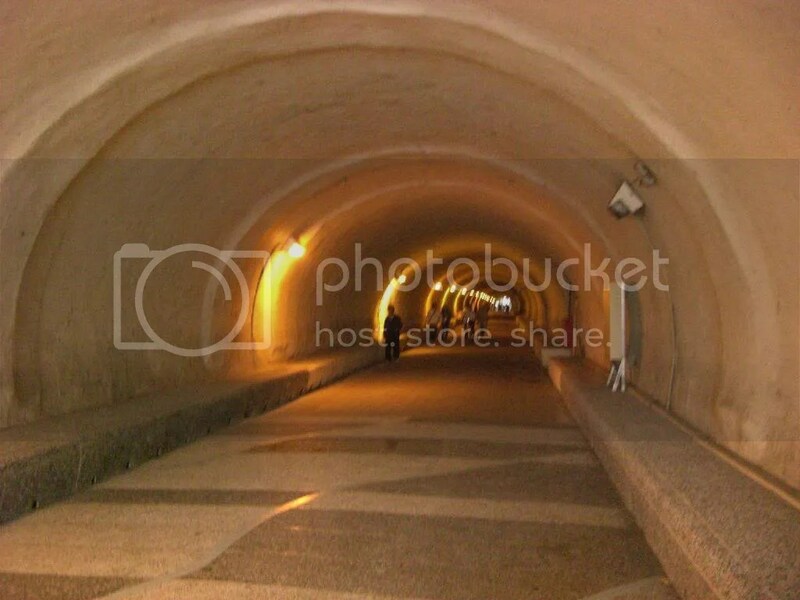 I walked rather slowly in the tunnel, enjoying its comfortable cooling effect. Stars in the making. These guys are really great in what they do. 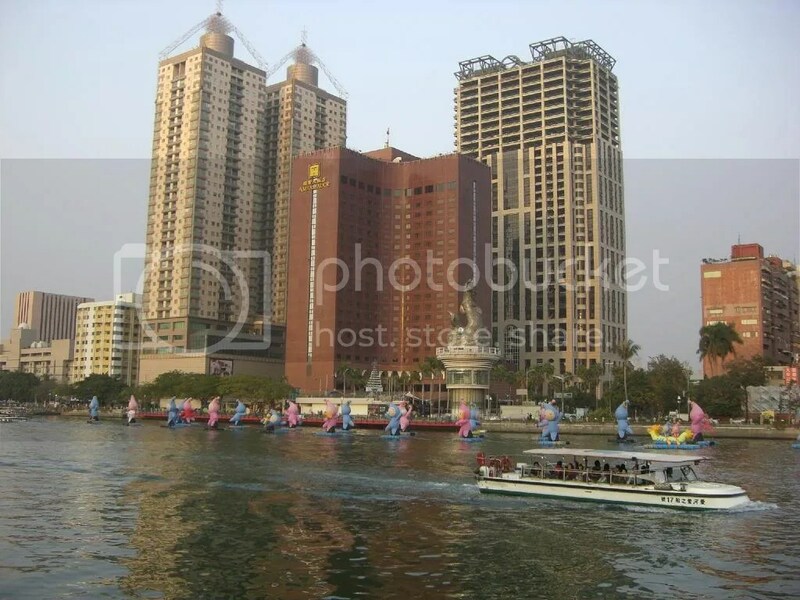 PRIDE OF ALL KAOHSIUNG LOCALS and its city mayor is the recently rehabilitated Love River. Once known as the Dagou River (literally translated as Beat Dog River), it was once a favorite place for dating lovers and hence its new trendy name. Pollution then changed the river into a shameful smelly body of water, regarded as an ugly landmark of the city. Following drastic measures done by the city government, Love River regained its reputation as a favorite site for locals and visitors like me. Many people walk their dogs, and for some, their kids, along the river. With the lantern festival coming soon, a lantern-making competition between schools is held here. Hundreds of entries are placed strategically beside the jogger’s path, each one unique and fully handmade. 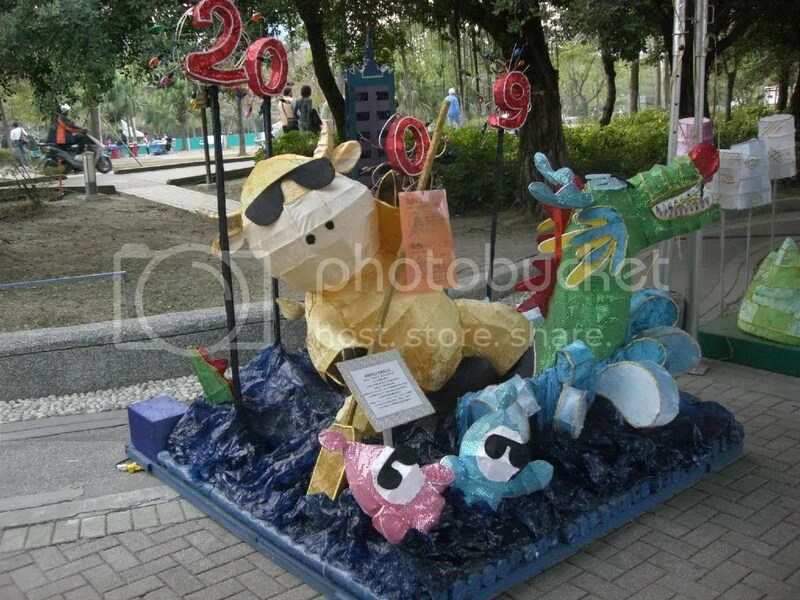 Other than that, mascots of the World Games 2009 hosted by Kaohsiung can be seen floating on top of the river, waving their hands in sync with the river’s ripples. A Municipal Film Archive is also on the river bank. Admissions are free, and although the exhibits only cover two floors, they are quite well made. PS they have restrooms and water coolers in the building, all good things for the weary traveler. 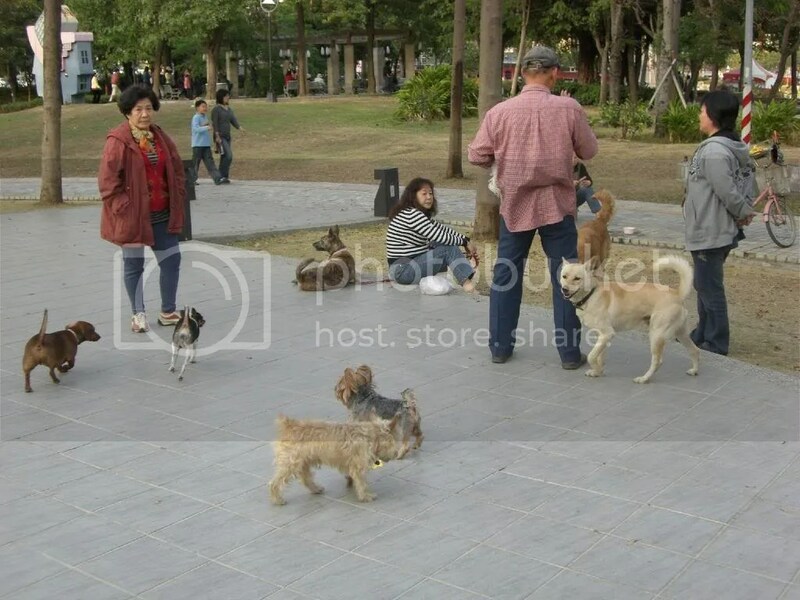 Owners bring their dogs to the Love River park every evening for a canine social gathering. Some owners even brought food along to share. 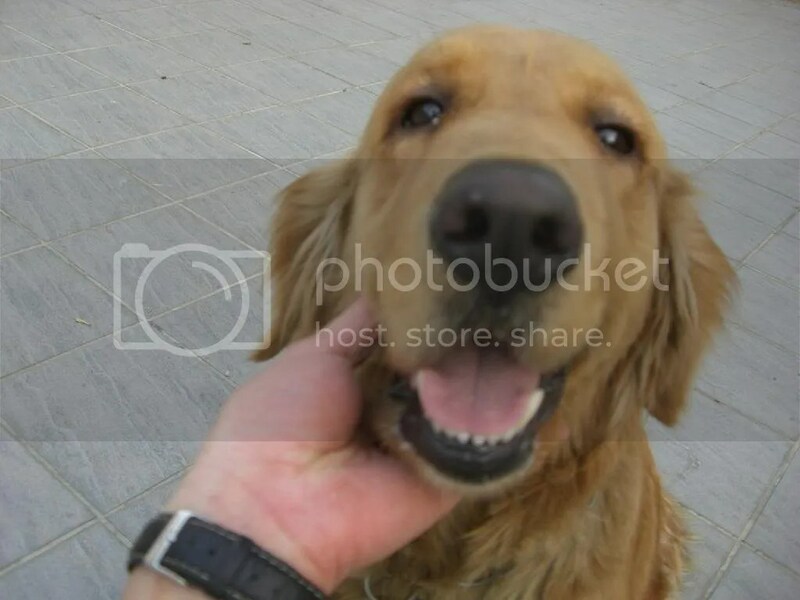 Speaking of dogs, I wonder why they call Kaohsiung, Dagou (Beat-Dog), when so many canine lovers settle here. This is my new-found friend, Coco. Ain’t she cute? Blue and pink mascots float on top of the water while a river cruise boat skims across the Love River. Plenty of creative lanterns made by local students gather here to compete for the annual lantern award. Some recent Taiwanese films that I watched. 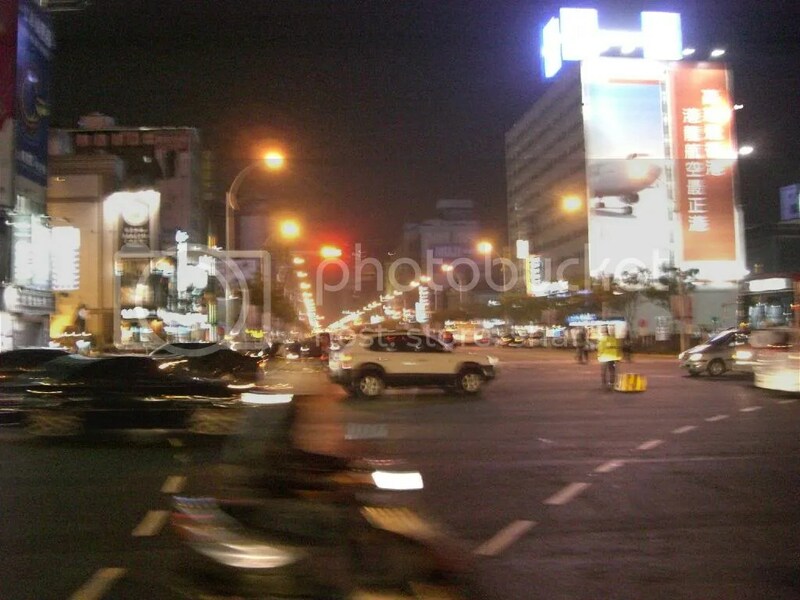 KAOHSIUNG, as in all other big cities, the night is always young. Me and my friend chose to walk around downtown until the night is dark enough for us to go to a dance club. Near the shopping district of downtown, Kaohsiung’s central park is also known as the Urban Spotlight due to its many aesthetic neon lights and artsy sculptures. I must say that the park is indeed clean and beautiful, definitely worth a visit. Finally, 11pm arrived. I did some research and found out that Private Party, a local dance club received nothing but good remarks. And so, me and my friend took the MRT and walked by foot for 10 minutes to find the club situated at a small hidden corner. I immediately realized that it was too silent to be a dance club and we then sadly found out that they close on Mondays. Damn it… All the fuss and no dancing for me? I did dance a little on the streets on our way home (when no one else is watching of course) but I cannot hide my disappointment, can I? Well, nothing’s perfect, and I know I should take the bang like a man. For what it is worth, outside of all the pollution and letdowns, Kaohsiung seems to be a nice city. I just hope next time around, the Beat-Dog city go back to beating dogs and not me. Traffic never seem to cease in Kaohsiung. Masses of scooters move through its streets much more than what I have seen elsewhere. still dominate travel blogs covering the greater Kaohsiung area. Don’t write it off yet. It is already a much different city than it was only a few years ago. You’ll be surprised to learn how much different of a city it will become a few years from now. 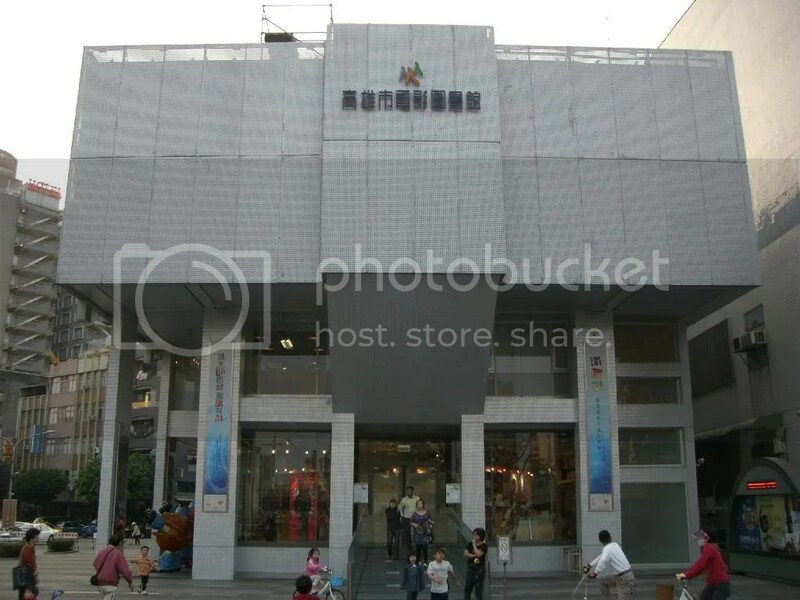 Like you, I am optimistic about Kaohsiung’s improvement. Recent infrastructural developments prove that the government and the locals are visionaries, and with time, she’ll become one very attractive city.